You can expand the SoundTouch family with another SoundTouch speaker. Once you have one, you can add more at anytime. They all work together. So as you go room to room, your music goes along with you. 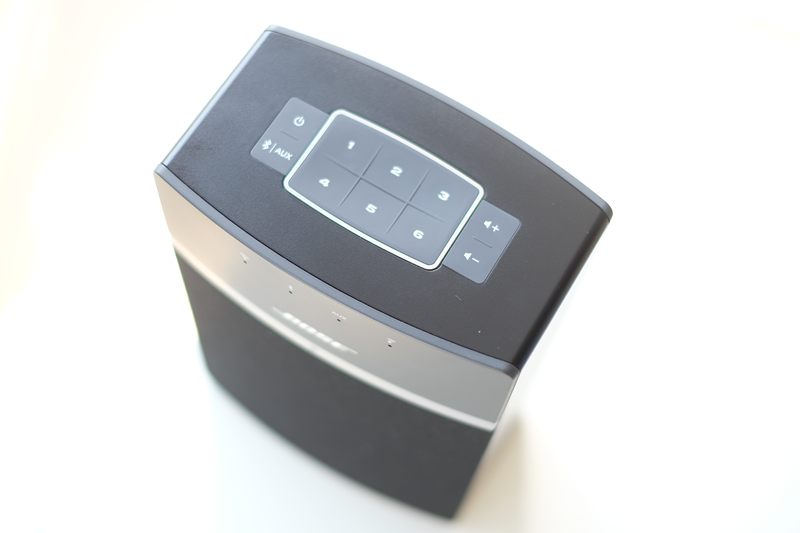 Use them to play the same music in every room or different music in different rooms. I was looking to replace my LG Music Flow H3 (Wi-Fi Speaker) because I had issue with the App, it's not user friendly, it drains my phone battery and every time I need to reach out to my phone if I want to play music. So one of the criteria that I was looking is that it need to have an external control: on the speaker / remote. BOSE soundtouch 10 it's looks simple and clean, it could look a little bit boring compared to other Wi-Fi speaker such as SONOS for some people, but I don't have any problem with it. For me personally it looks like BOSE trademark and classic. 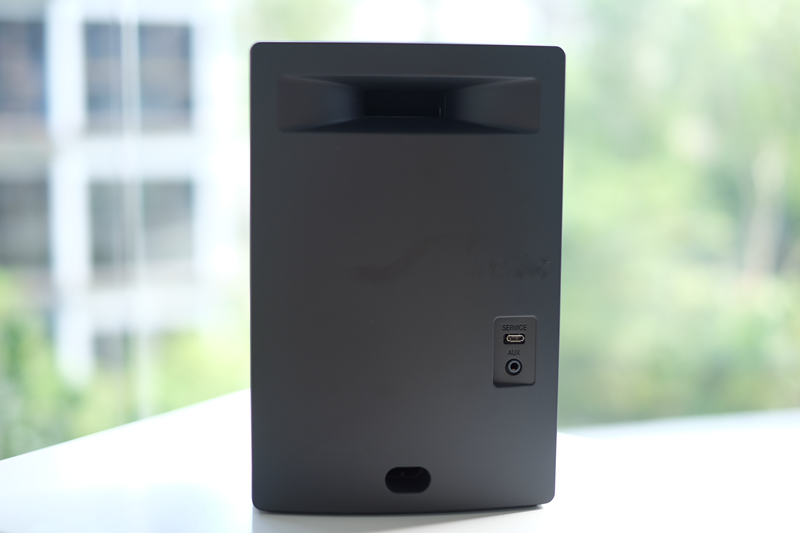 the build quality is good, the front panel is covered by cloth and I imagine it will be pretty hard to clean when it gets dusty. Status LED infront of the panel tell you whether the speaker is connected to the Wi-Fi and the source of the music: bluetooth, auxiliary or Wi-Fi. Back panel provided the connection to power cable, 3.5mm aux input and micro USB to setup the speaker with a computer. there's also a exhaust port to let the air escape, helping the speaker to perform efficiently. On top, the control button embeded on the top of the speaker is great! there's a time I prefer to press these buttons to quickly turn on / off / select music without touching the app. Too bad that it doesn't have the play / next button but don't worry cause you can find it on the remote control. you can assign your favorite music to six presets and you can assign it to a different services e.g 1 = playlist from spotify, 2 = internet radio. There was a major change in the interface, instead of black now it's a white themed. There's a pretty limited service offered in Asia: Amazon music, Deezer, Siriusxm, Spotify, music library on NAS, music from the library. There's a TuneIn or free internet radio service from all over the world and you can easily assign that to one of the six preset. You can also update the software from this phone as well, it's much better than plugin your laptop / pc to the speaker to update it. I would say that The apps is simple, well build and responsive. One improvement that they can consider is to put the preset option in the left menu as well instead of just an icon in the top right. Reasonable amount of bass at medium volume, drive it up to the corner and you can hear the distortion. I would say that the bass is fair and could be improved to give much more deeper and impactful bass. The vocal of the Musician performed well most of the time, I feel that sometimes that the mid become laid back. Perhaps because it's mono, it can't really deliver the dynamic and sounded like there's no music separation and muffled. The treble is pretty clear, the treble helps to bring out the overall sound cause the BOSE soundtouch 10 sound is leaning towards the warm side. Overall sound quality is okay, nothing special. It's perfect for casual listening, the sound signature is warm and it's pretty easy and comfortable to listen to. Connectivity: WiFi, Bluetooth, 3.5mm aux. Sound signature is pretty comfortable for casual listening. Sound distortion near the max volume. 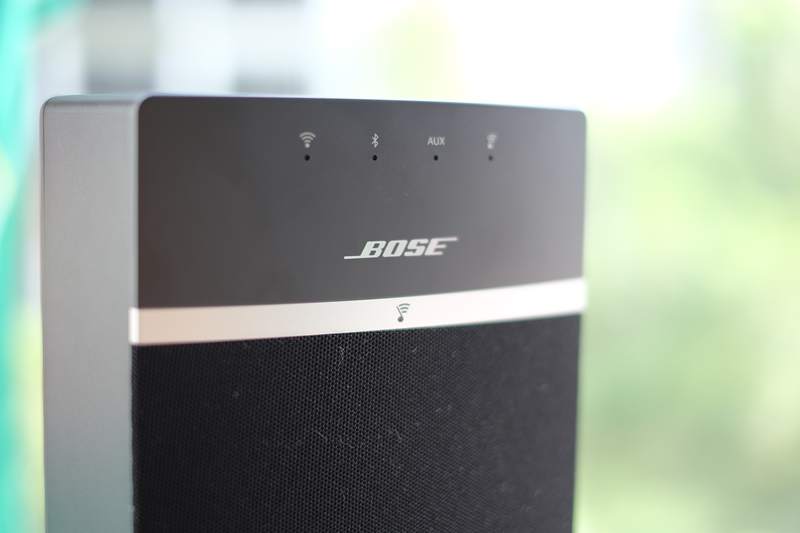 The BOSE soundtouch 10 looks small but it can deliver a pretty decent sound in a small to medium sized room. Just beware that you'll hear distortion if you bring the volume to max. I think a first time buyer will perfectly happy with this small little speaker if you like the BOSE sound signature. If you think that this mono speaker is not good enough maybe you can consider to buy another one and make it stereo. The extra connectivity such as Bluetooth is great if you want to play some YouTube / video / games from your phone. The 3.5mm jack is pretty useful if you want to hook your tv / portable player into the BOSE Soundtouch 10. 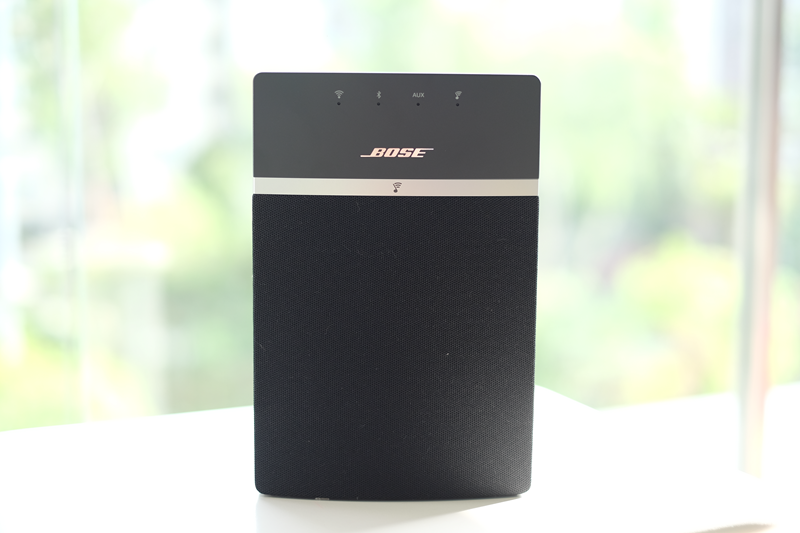 I like the flexibility of BOSE sound touch 10 especially the ability to turn on music without the need of the apps through the control buttons / remote control.